Eczema is a group of skin conditions in which the skin becomes irritated and inflamed, most often in the form of an itchy rash. The word eczema comes from a Greek word that means to “effervesce, bubble or boil over”. 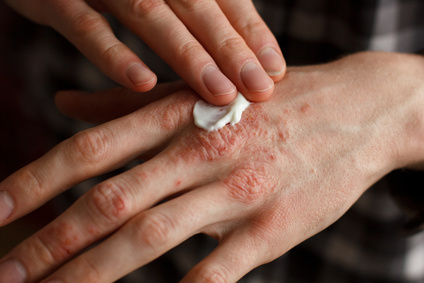 Eczema may affect more than 30 million Americans. This number includes about 10% to 20% of infants and 3% of adults and children in the U.S. Most infants, who develop eczema, will outgrow the condition by their tenth birthday, whereas some people experience symptoms throughout their life. There is no cure, however the condition can be managed with the right treatment. Eczema symptoms vary between patients. The rash may even look different or affect different parts of the body from time to time. Symptoms can be mild, moderate, or severe. In general, the condition is almost always itchy. Sometimes, the itch may cause many patients to scratch their skin until it bleeds. This can make the rash worse, leading to even more inflammation and itching. 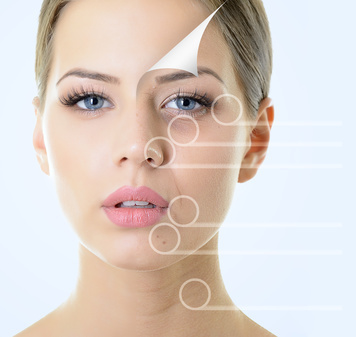 There may be periods when the skin flares up and when the skin is clear. There are several different kinds of dermatitis, which often involve an allergic reaction to a specific allergen. Atopic dermatitis is an allergic skin condition suggested to have a genetic component. Atopic dermatitis often runs in families whose members also have asthma. The itchy rash is particularly noticeable on the head and scalp, neck, behind the knees and inside of elbows. Contact dermatitis is of two types: allergic (resulting from a delayed immune reaction to an allergen, for example poison ivy) and irritant (resulting from a direct reaction to a detergent, such as sodium lauryl sulfate). About 75% of contact dermatitis is of the irritant type, which is the most common occupational skin disease. Contact dermatitis can be cured, provided the irritant can be avoided and its traces removed from a patient’s environment. Seborrheic dermatitis (aka “cradle cap” in infants) is a condition sometimes classified as a form of eczema that is closely related to dandruff. It causes peeling of the scalp, eyebrows, and face, and sometimes the trunk. The condition is harmless except in severe cases of cradle cap. In newborns it causes a thick, yellow, crusty scalp rash called cradle cap, which seems to be associated with a biotin deficiency. Cradle cap is often curable. 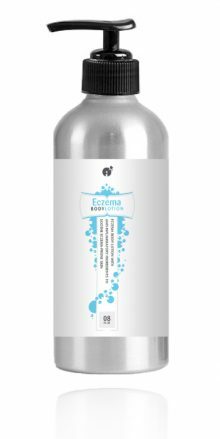 Xerotic eczema is severely dry skin that turns into eczema. Symptoms worsen in dry winter weather, and frequently affect limbs and trunk. This condition is very common among the older population and the itchy, tender skin appears like a dry, cracked, riverbed. 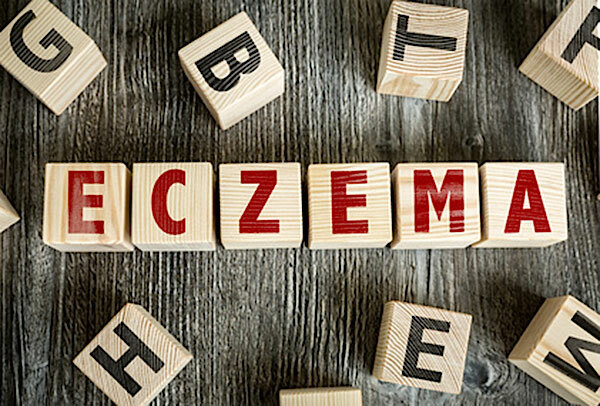 What causes eczema is unknown, but research suggests that there is a combination of genetic and environmental factors. The condition is thought to be an overactive response by the body’s immune system to an irritant. It is this response that causes the various symptoms. Eczema occurs about three times more often in people with celiac disease. In addition, it occurs about two times more frequently in relatives of those with celiac disease. This could possibly point to a genetic link between the two conditions. Some research suggests that exposure to bacteria and other immune system modulators is important during development. Reducing this exposure increases the risk for developing allergy-based conditions such as asthma and eczema. Also, defects in the skin barrier could allow moisture out and germs in, which may play a role in the development of eczema.